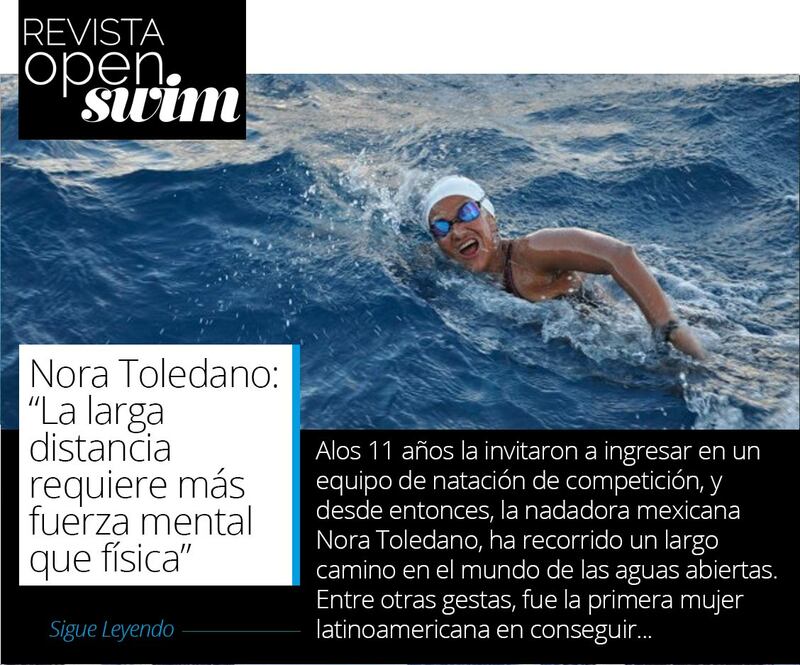 Article about Nora Toledano Cadena, courtesy of Tom Morgenstern of Revista Open Swim. Nora Toledano Cadena talks about the mental aspects of open water swimming in Revista Open Water (see La larga distancia requiere más fuerza mental que física). Toledano is a Mexican marathon swimmer who was inducted in the International Marathon Swimming Hall of Fame in 2006 as an Honour Swimmer. The Mexican marathon swimmer completed a two-way crossing of the English Channel in 1994 in 23 hours 38 minutes and has completed three Oceans Seven channels.